With so many other furniture stores around, why do people like to shop at Osmen? "What stood out was the quality and price." "The price is what got us." So it’s because of the quality and price? "The staff at Osmen were great, we walked in at the last minute, they welcomed us, they had a big smile, there was no pressure." "When you go around different retail outlets, everybody seems to have quite similar things, and Osmen just caught my eye as soon as I walked past the shop." Okay, so quality, price, customer service and the fantastic range. Osmen has been setting trends in all-weather outdoor furniture design for more than 20 years, and for the last 10 years, has been a leading supplier to Australia's major furniture retailers. 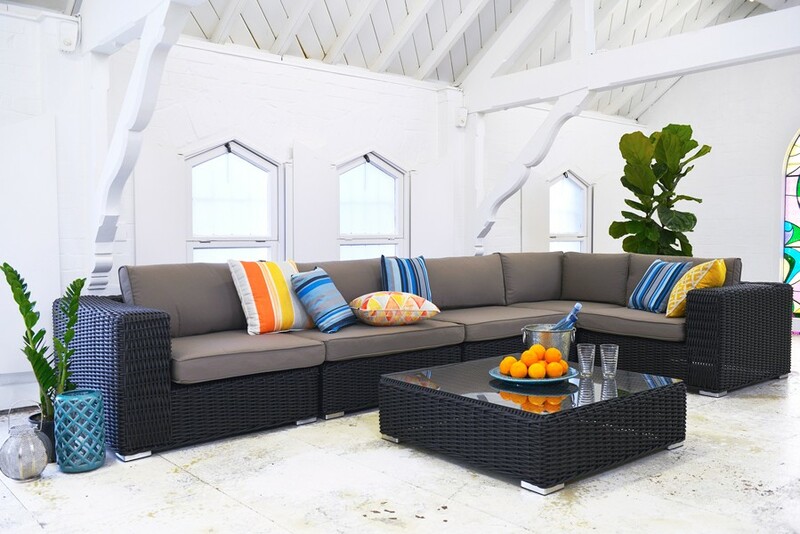 Now, we have opened our own stores in Sydney and can offer our extensive range of European-designed outdoor furniture at incredible prices - a one-stop shop for all your outdoor furniture needs! Unique to the Australian market, Osmen offers a range of fine quality European brands including dining settings, lounges, hammocks, umbrellas and egg chairs. Our reclaimed teak is specially treated to give the furniture a weathered look with no further treatment needed to maintain its color. Osmen’s furniture is especially designed to meet the challenges of Australia's harsh climate and made with the latest, advanced materials. Our 100% outdoor Textylene cushions with quick-dry foam allows for immediate usage after being wet and makes it easy to clean and maintain. The combination of price, quality, leading products and stunning designs gives you the best value when investing in outdoor furniture. With a 2-year comprehensive manufacturer’s warranty you can now shop with certainty. Visit Osmen at Belrose Supa Centre, Alexandria Home Maker Centre, Artamon HQ Centre or our Smithfield Showroom and warehouse, or you can browse and shop online. This article claims no credit for any images posted on this site unless otherwise noted. Images on this blog are copyright to its respectful owners. If there is an image appearing on this blog that belongs to you and do not wish for it appear on this site, please e-mail us with the link and it will be promptly removed.